These are a few things that make a perfect lazy Sunday: my husband, pajamas, sunshine, and fruit crepes. I absolutely love these moments in my life. 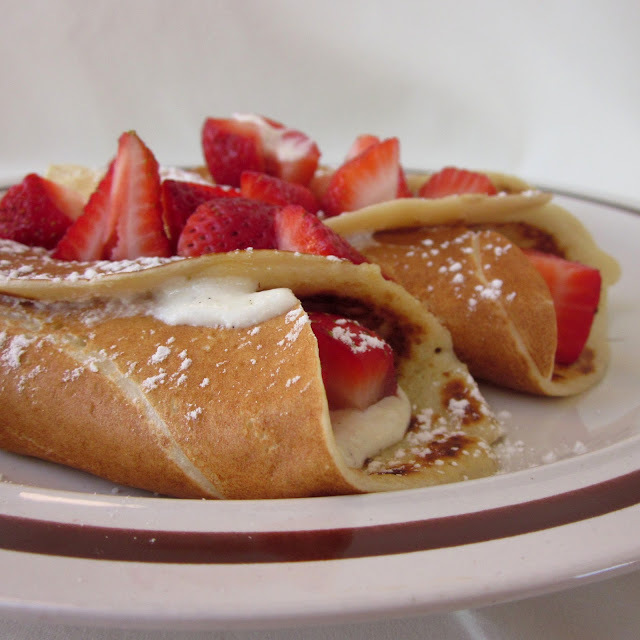 to prepare the crepes, put the flour in a large bowl, add the egg, milk, butter, and salt and whisk until smooth. refrigerate for 2 hours before cooking. while the crepe batter is resting prepare the filling by heating the milk in a small saucepan over a low heat for 2-3 minutes. remove from the heat and allow to cool for 5 minutes. transfer the milk to a bowl and add ricotta, zest, powdered sugar, and vanilla and stir to combine. heat a non-stick frying pan over a medium heat and brush with a little butter over the base. ladle 2 tablespoons of batter into the pan and tip the pan slightly to quickly and evenly spread the batter. after a minute, lift the outer edge of the crepe and flip it over and cook for a couple of seconds on the other side. repeat with the remaining batter. place a heaped tablespoon of filling in the center of each crepe, top with strawberries. 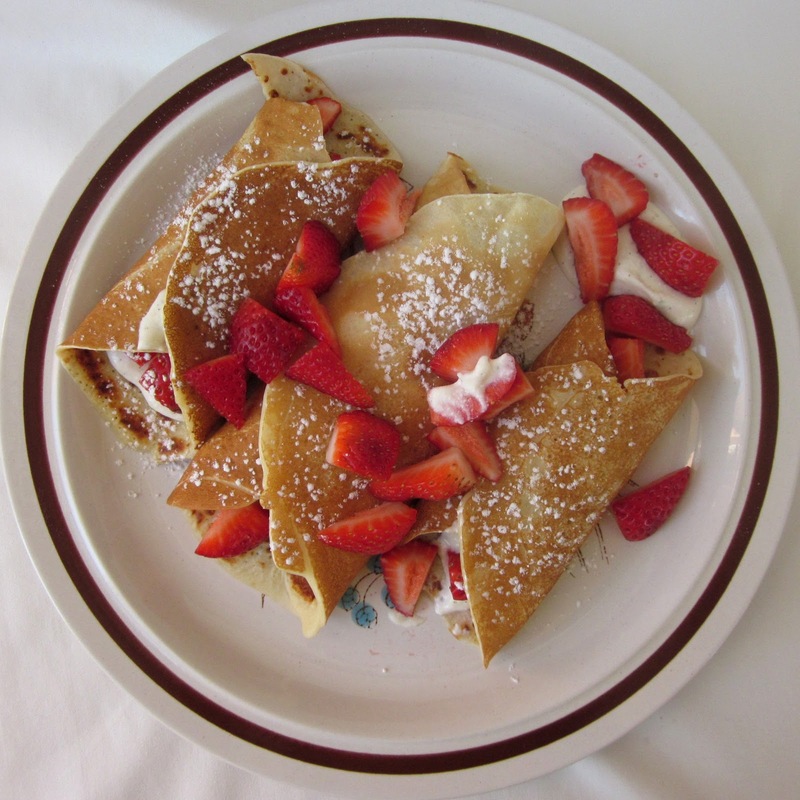 fold the crepe into thirds. top with more strawberries.